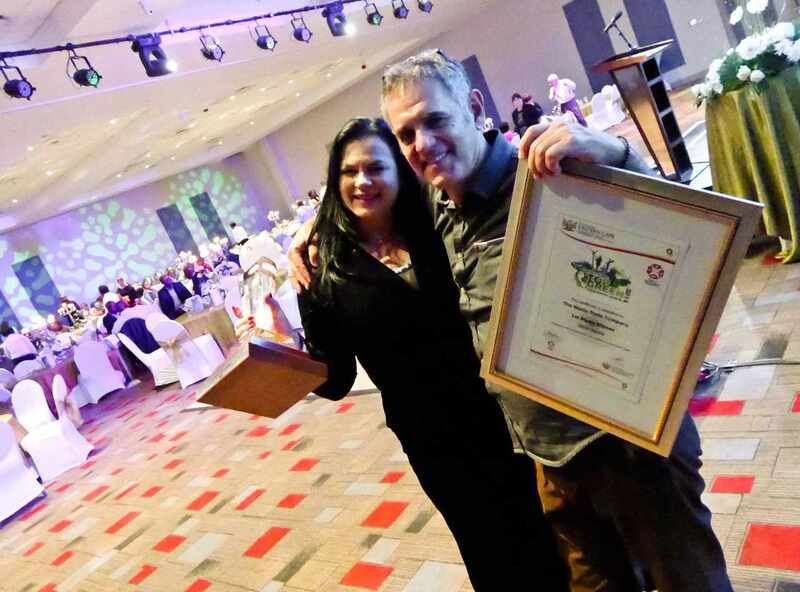 The biennial EC Top Green Organisation Awards, funded and presented by The Department of Economic Development, Environmental Affairs and Tourism (DEDEAT) – in conjunction with the Institute of Waste Management South Africa (IWMSA) – are held to acknowledge organisations who have invested in responsible environmental management and to award the participants who have excelled in doing so. Each contender underwent an audit process and were scored accordingly. This year’s audit team were Ms. Songxaba, Ms. Gyan and Ms. Ntsini from DEDEAT, as well as Mr Walter Vyfie from Arcus Gibbs Engineering Consultants. A total of seventeen contenders were audited, all of which were: CHEP South Africa (PTY) Ltd PE, Coega Develpment Corporation, East London IDZ SOC Ltd, FloorworX Africa (PTY) Ltd, General Motors South Africa, Goodyear South Africa (PTY) Ltd, Kabega Primary School, Langkloof Bricks, Mercedez Benz South Africa, Ronnies Motors, Stirling Primary School, Sunningdale Dairies, The Waste Trade Company, Transnet National Ports Authority PE, Uitenhage Despatch Development Initiative (UDDI), Volkswagen Group South Africa. The Award Ceremony was held at Tsogo Sun – The Venue, in East London and the MEC for the evening was Mr. S. Samyo from the DEDEAT. A live jazz band entertained the guests during intervals. Participants were grouped into four different categories based on the size of the organisation, as well as their environmental impact. Large Organisation with a High Risk was won by VWSA. Medium Organisation with a High Risk was won by Coega Development Corporation. Medium Organisation with Medium Risk was won by The Waste Trade Company and Small Organisation with Low Risk was won by the UDDI. TWTC is very proud of their achievement and shares the award with their employees, who have all worked very hard to win the award. “Even more so, we are proud of our clients who participated,” says Kay Hardy, general manager/shareholder of TWTC. GMSA won third place for Large Organisation with High Risk, Goodyear received a certificate of participation with a gold award, Kabega Primary won second place for Small Organisation with Low Risk and UDDI won first place in the same category. “TWTC is a company who clearly showcases our passion for the environment and education and we aim to share our enthusiasm with everyone we meet. We challenge all of our clients to participate in future.” – Howard Bulkin, owner/director of The Waste Trade Company.